If you haven’t had your flu shot this year, don’t worry….it doesn’t work anyway. According to the Center for Disease Control, this year’s flu shot is not working on this year’s flu. I never get flu shots because I believe it is a scam to make billions of dollars and has nothing to do with a cure. A healthy immune system will fight a virus. Here are some simple tips for making your home a healthy environment during flu season. Place a large yellow onion in each room of the house. It will absorb virus and bacteria. It will also sprout during the winter. Throw it out in the spring and replace it next flu season. 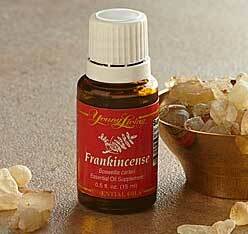 Buy some Frankincense and Myrrh oil and rub it on the bottom of your feet and your children’s feet each night. The essential oils will promote health and keep virus at a distance. I have had customers who swore by this remedy and the their children never got sick. You can find it online or in Health Food Stores. Keep a supply of Vitamin C, Zinc and probiotics on hand. If you feel a cold coming on, take 100 mg of C and 50 mg of Zinc. It will normally boost your immune system and avoid a full blown cold. Hot herbal tea with honey and lemon work well on a sore throat. There is a tea called Throat Coat that I love. It will help cure a sore throat and is very soothing. If you happen to get a cold – Hot herbal tea and Sambucus (Black Elder Berry) Extract will really help calm the symptoms. You will get over the cold much faster than taking antibiotics. Clean ac filters in your house or replace them. The extra dust just makes you feel worse. Also dust ceiling fans. Keep yogurt and probiotics at all times. A healthy gut will rid a virus much faster than a slow gut. Calm a cough with a hard candy or chewing gum if you don’t have a cough drop. Offer some to the annoying person behind you who is coughing. Get plenty of rest. Lavender oil is calming. You can put some on a cotton ball and place it in your pillow case for a good nights sleep. Try some of these remedies and have a Healthy and Happy Holiday Season.